AYREON, the highly acclaimed project from singer, songwriter, multi-instrumentalist and record producer Arjen Lucassen, has released the official lyric video for the song "Everybody Dies", taken from the upcoming album "The Source". Check it out below. "The Source" is an exciting new chapter in the AYREON saga, with contributions from renowned vocalists like James LaBrie (DREAM THEATER), Simone Simons (EPICA), Floor Jansen (NIGHTWISH), Hansi Kürsch (BLIND GUARDIAN), Tobias Sammet (EDGUY, AVANTASIA), and Russell Allen (SYMPHONY X). 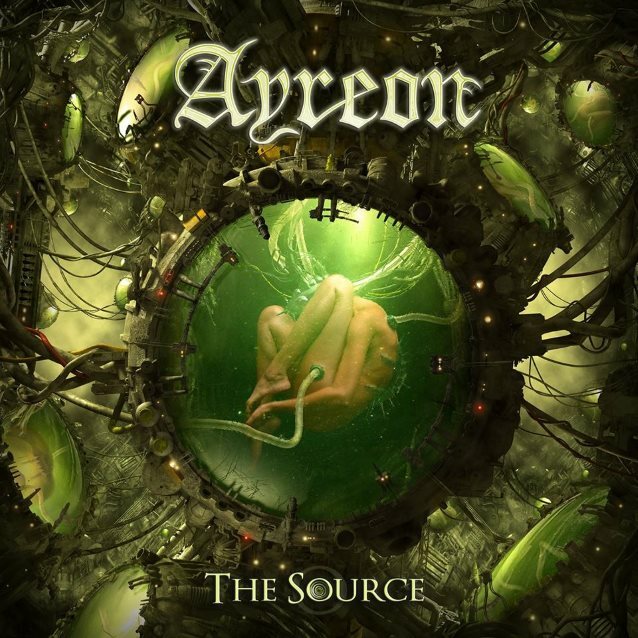 "The Source" will be released on April 28 through AYREON's new label Mascot Label Group/Music Theories Recordings. While AYREON's "Forever/Planet Y" saga seemed to have reached its conclusion with the album "01011001", it's clear that Lucassen's creative muses had other plans. The new AYREON album "The Source" revisits the "Forever" saga, adding a whole new chapter to Lucassen's impressive body of work. With its top-flight cast of singers and musicians, compelling songs, overwhelming sound, and intriguing story, "The Source" offers everything that has gained Lucassen dedicated fans worldwide since he laid the foundations of AYREON back in the mid-'90s. The story of "The Source" is set six billion years in the past relative to Earth. It begins on Planet Alpha, a world in the Andromeda system where computer intelligence has far surpassed that of humanity. Alpha is facing a massive global crisis, with ecological and political catastrophes threatening all human life. The Alphans (our human ancestors) try to save their planet by entrusting the global computer mainframe — The 'Frame — to find a solution. Given total control of the planet, the 'Frame reaches the logical conclusion that its creators are the cause of all the trouble. The only way to solve Alpha's problems is to exterminate humanity. This leaves the Alphans no other option than to try and escape their horrific fate. But their escape comes at a terrible price. It's the beginning of a story that contains everything that has made the Ayreon epics so endlessly fascinating all these years. The international status of AYREON enables Arjen Lucassen to write his characters with some of the most respected singers in rock in mind: James LaBrie (DREAM THEATER), Tommy Giles Rogers (BETWEEN THE BURIED AND ME), Simone Simons (EPICA), Mike Mills (TOEHIDER), Floor Jansen (NIGHTWISH), Hansi Kürsch (BLIND GUARDIAN), Michael Eriksen (CIRCUS MAXIMUS), Tobias Sammet (EDGUY, AVANTASIA), Nils K. Rue (PAGAN'S MIND), Zaher Zorgati (MYRATH), Tommy Karevik (KAMELOT) and Russell Allen (SYMPHONY X). Special contributions were offered by guitarists Paul Gilbert (MR. BIG), Guthrie Govan (THE ARISTOCRATS, ASIA, STEVEN WILSON), Marcel Coenen and keyboard player Mark Kelly (MARILLION). Watch the epic 12-minute video for album opener "The Day That The World Breaks Down" below. Just as on his previous albums, "The Source" has Arjen Lucassen playing a wide variety of instruments, while the inimitable Ed Warby (ELEGY, GOREFEST, HAIL OF BULLETS) once again masterfully handles the drums. 2017 will be a particularly exciting year for AYREON fans thanks to a unique chance to actually see AYREON live. Limited to three exclusive performances, "The Ayreon Universe" will take place in September in the prestigious 013 venue in Tilburg, Holland. This unprecedented live event features the best of twenty years of AYREON music, brought to life by a top cast of musicians such as Floor Jansen (NIGHTWISH), Russell Allen (SYMPHONY X), Damian Wilson (THRESHOLD), Hansi Kürsch (BLIND GUARDIAN), Tommy Karevik (KAMELOT), Jonas Renkse (KATATONIA), Anneke van Giersbergen, and various others. 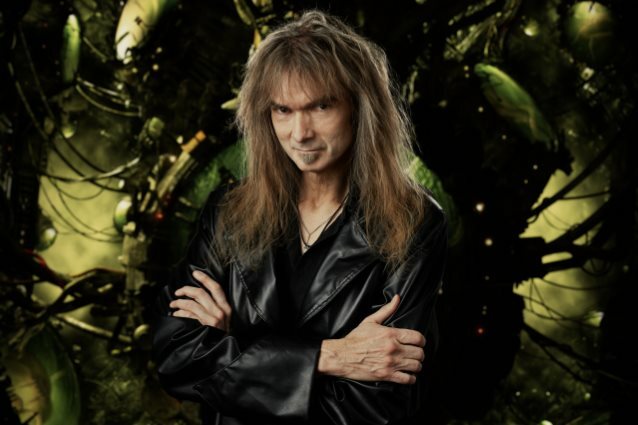 The reclusive Arjen Lucassen himself is also expected to make a rare appearance on stage. The tickets for all concerts — 9000 in total — sold out within a day, proving once again that the AYREON magic is still very much alive and kicking.